Circa 1900 3 bedroom cottage. Memories of Grandmas house will come flooding back. Enjoy a restful nights sleep in our comfortable beds with Sheridan linen and warm quilts. Relax in comfortable lounges. Keep warm by the wood fires on those cold Clare Valley nights. Gaze at bright stars in clear skies. Breathe in the clear fresh air. The property is divided into 2 suites. Chelsea is an intimate 1 bedroom self contained suite with spacious lounge dining, and separate kitchen, suitable for 1 couple for a romantic getaway. Cuddle up with a loved one with a glass of port and home made chocolates. Casablanca is self contained accommodation with 2 large bedrooms. Provisions for cooked and continental style breakfast is provided. Casablanca is perfect for a family or special friends. Create wonderful meals in the spacious country kitchen. Enjoy the outdoor BBQ with a great Clare Valley red or white. Why not enjoy the company of friends and take the whole 3 bedroom house for up to 8 people with a sofa bed if required. Ride the famous Riesling Trail through spectacular Clare Valley scenery. If you do not have bikes of your own you can hire them from Cogwebs at Auburn. Collect or have them delivered to your door. Call into the local cellar doors on your ride and have your purchases delivered back to your accommodation. Walking distance to Watervale General Store for great breakfasts and lunches. Visit Annie's Lane Winery before dining at the Watervale Hotel. MINIMUM STAY 2 NIGHTS. 3 NIGHT MINIMUM LONG WEEKENDS. EASTER WEEKEND MINIMUM 4 NIGHT STAY. We are dog friendly and dogs are welcome by arrangement. A $200.00 bond is required upon booking. The property is not securely fenced so supervision is required when outside, and should not be left alone inside the house. There is however a small secure area with a kennel under shady trees. Must be well behaved, house trained dogs, 2 maximum. Sometimes you just need to escape it all. To simplify your schedule, escape the hustle and bustle and breathe in the fresh, crisp country air. At Granmas Cottages we give you the opportunity to enjoy rustic country living in comfort and style, so you get the best of home while being away. Located in the beautiful Clare Valley in South Australia, spend your days meandering walking trails, wineries, restaurants, galleries and shops. At night relax in big cozy lounges in front of the fire in winter or keep cool with reverse cycle A/C in summer. 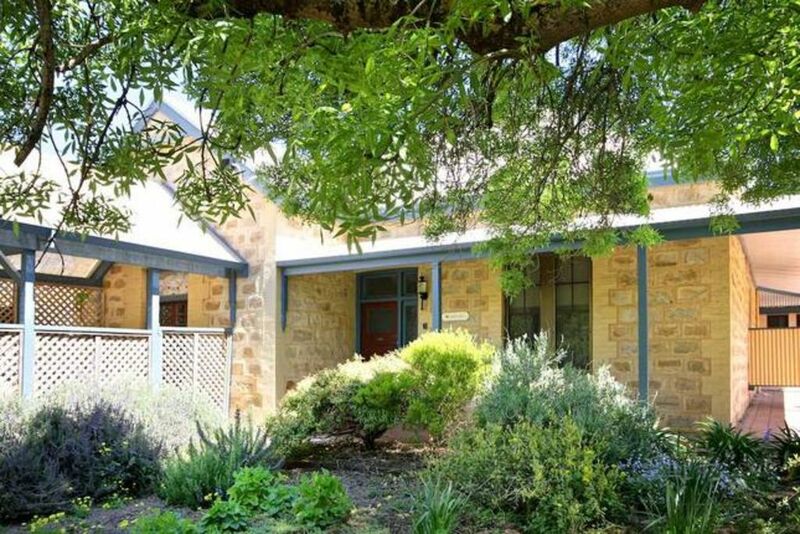 Offering greater availability with two locations, Granmas Auburn Hideaway, located in the southern edge of the Clare Valley and Granmas Watervale, located 9 kilometres North of Auburn and 15 kilometres South of Clare. At Granmas Watervale you can stay as a couple, family or group, opening up the internal doors. Granmas Auburn Hideaway is suitable for 2 couples. Both properties are ideal for short corporate stays. Lovely, spacious and great location! Would be a really good option for families or a group of couples. We had such a lovely time with our dogs at this property. Clean, well equipped and very comfortable. The dogs loved being with us. Highly recommend. Glad you enjoyed your stay and you will visit us again soon. Great experience for us and our pet dog. The place was cosy and romantic for a wintery get away in the Clare. Our first time to the valley. Good location to get anywhere. The property provided everything we needed. The wood fire was great. The enclosure for our dog was awesome to have. We had a day to ourselves without worrying about her at home. We really enjoyed the cottages- not many available in the area that cater for three couples. Very centrally located and loved the fire in the main unit. The fire in the smaller cottage we found difficult to operate and get substantial heat out of it. Overall an excellent place to stay and would recommend to others. Spacious, plenty of parking and access to bicycles really appreciated. Had a very comfortable stay here, the bedrooms were beautiful. Lots of room and very handy for winery visits.